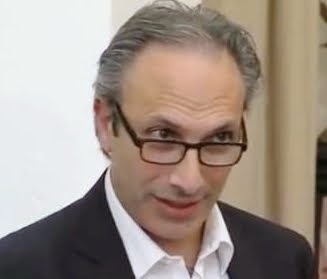 Development Horizons by Lawrence Haddad: Nigeria: Can it be a driver of nutrition progress? Nigeria: Can it be a driver of nutrition progress? One of the great sessions at the recently completed Micronutrient Forum was on the implementation of Nigeria's National Strategic Plan of Action for Nutrition (2014-2019). The national strategic plan of action focuses on direct nutrition interventions. It is exemplary in that it has (1) SMART targets for the reduction of stunting, wasting, exclusive breastfeeding and complementary feeding, (2) is costed, (3) identifies current resource allocations and needed resource mobilisation, (4) identifies platforms for delivery and (5) tells policymakers what their investments will buy in terms of lives and DALYs saved. The plan has buy in from the Ministry of Health, State Nutrition Offices, UNICEF, the World Bank, GAIN and others, so it reflects a collaborative consensus building process. What needs to happen now? Well, with the World Bank looking poised to increase funding to nutrition, the Government must now step up to allocate more of its own resources to increasing the coverage of effective and proven nutrition interventions. I would have liked to see the opportunities within Nigeria to link with other sectors such as the food system, education, and water and sanitation (the plan is health sector focused), but perhaps they are in other documents. Still, it would have been good to see how this fit in with the others. 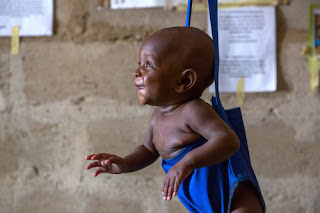 If Nigeria can get stunting rates down to 28% by 2019, the whole of Africa will move forward. If Ghana can do it, then so can Nigeria. The world is watching. Thanks Lawrence for honouring us with your presence and your inspirational comment. Was very interested to read your recent series of blogs around micronutrients. Your emphasis on (the need for) government intervention touches on some recent IDS research, which essentially explored whether/how markets and the private sector can get nutritious food to the poorest (work led originally lead by John Humphrey and Ewan Robinson). One aspect looked at the role of businesses and markets when it came to rolling out micronutrient policies and how this runs into difficulties in areas where food purchasing largely occurs in informal markets. We did an infographic which tries to capture how/why some of this tends to break-down http://www.ids.ac.uk/publication/can-the-private-sector-tackle-undernutrition-amongst-the-poorest-people (I should confess that I was involved in producing it! ).